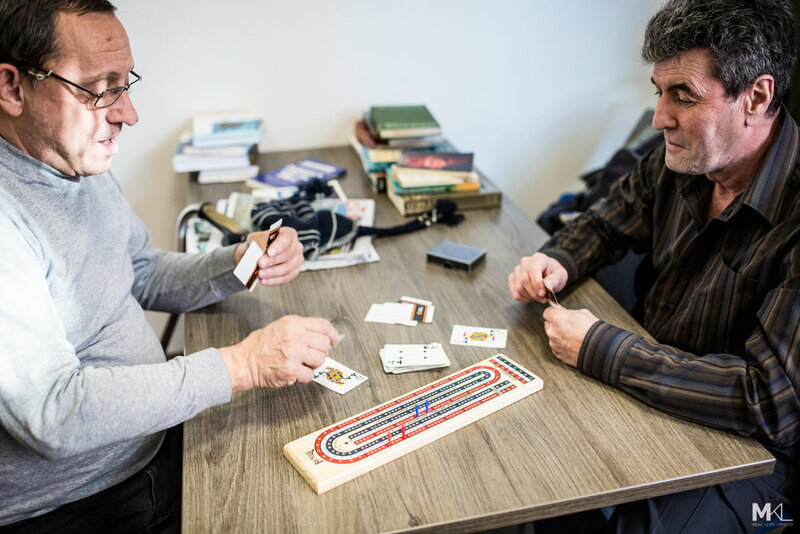 As part of our Carrefour Multiservices, the day centre at Accueil Bonneau is the most important day ressource in Montreal. One door, all the services to social reintegration in one place. 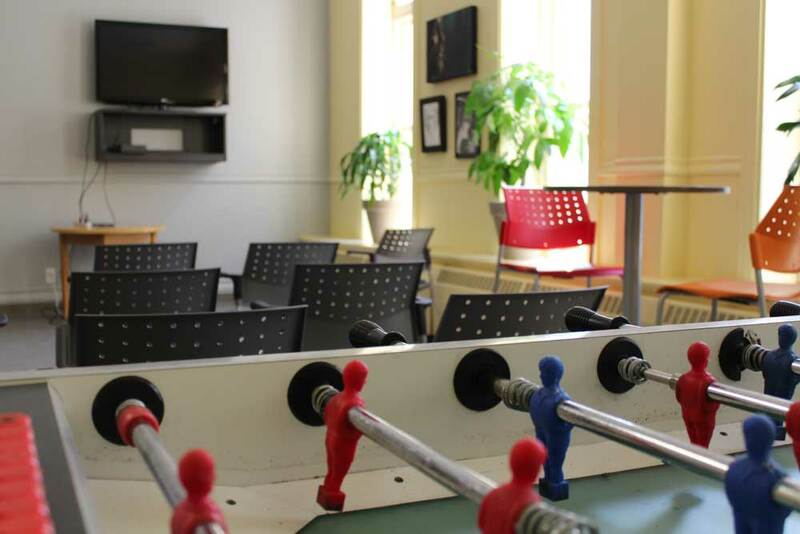 Monday to Friday, from 8 a.m. to 2:30 p.m.
Named after the Grey Nuns of Montreal, this is a calm place to relax and socialize where you can find a small library and board games. Volunteers and outreach counsellors are on-site welcoming clients. Coffee is free, until the last drop of the day has been served. Thank you to Café Napoléon, your coffee is heartwarming! A large room where you can watch TV and play babyfoot. Many special activities are also held in that room. Computer stations allow our clients to find resources and search the Web for housing, training, jobs, etc. With the help of social networks, even reconnecting with relatives or old friends is made possible. What cannot be said in words, can sometimes be conveyed through music and art. The Art Workshop is a meeting place for artists who would like to give free rein to their creativity. Leadership is provided for discovering and practicing different techniques, painting workshops, etc. Artistic creation in all its forms is often the only way to establish contact with the most marginalized street people and those who are not inclined to use social services. Musical instruments are available, so let the music lead the way! 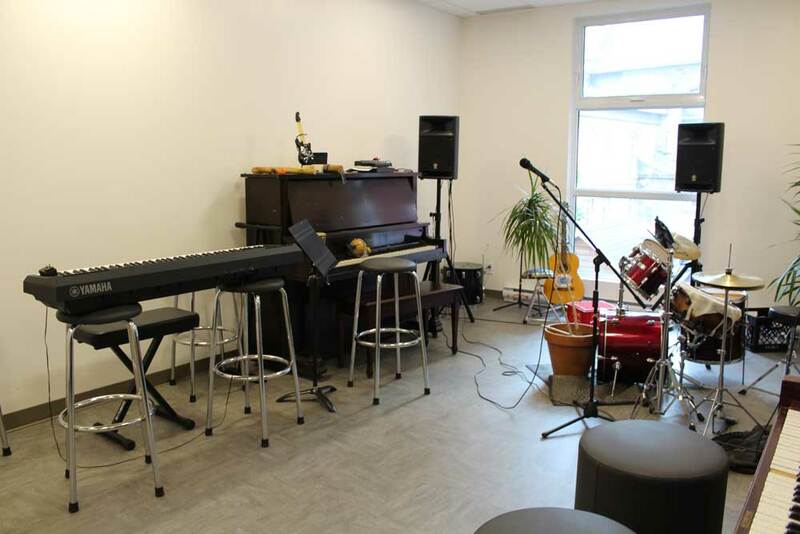 One can reserve a practice session of 30 minutes and/or participate to group jamming sessions. 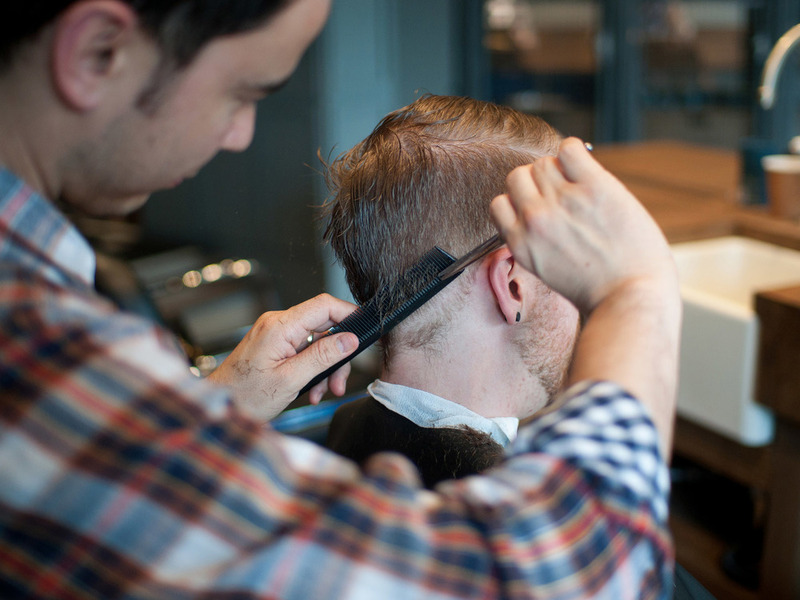 Each year, volunteer hairdressers give 1,000 haircuts to refresh our men and give them a sense of pride. We provide all the necessities (soap, shampoo, towel) at the shower service.